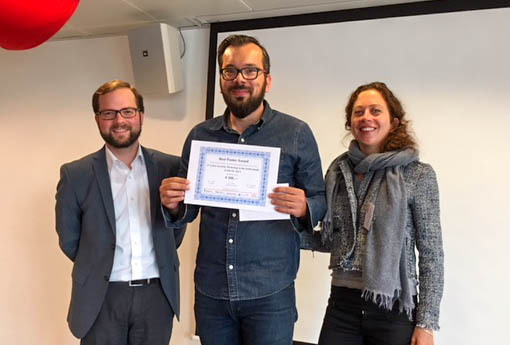 The annual Cyber Security Workshop in the Netherlands (supported by 4TU.NIRICT, dcypher, and NWO) aims to contribute to a stronger and more connected cyber security research community in the Netherlands. Seize this excellent opportunity to share ideas, experiences, and information, within the diverse topics of cyber security. Both researchers and practitioners working within the field of cyber security are cordially invited to join. The 3rd edition of this workshop will be held in Den Haag on Thursday, October 5, 2017. Participation is free of charge. We are delighted to have Dr. Luca Allodi giving a keynote speech: ‘Tales from the Russian Underground: Infection Technologies and Economics’. As in the previous year, the program committee is soliciting abstracts describing work on cyber security. All PhD and MSc students are encouraged to submit a one-page abstract in pdf-format, including names of the authors, affiliations and e-mail addresses. You can subscribe here to see this event, invitation or participant information and view route description. Use the menu at the left side for this functionality.